Life after Bitter Disappointment – Goodbye Henrietta Street Is Back! What do you do when your publisher writes to you one day, out of the blue, and informs you after less than a year of publishing my book, that they can no longer keep the business open? I had just got the sales rolling in 2013/14 and was beginning to feel, at last, I was an author after ten years of learning how to do the job. It was all going well. After several weeks of decision making and wondering where to go next I suddenly realised that to find another publisher was going to take a lot of hard work with very little reward. Thanks to a fellow author (we girls have to stick together) I got a tip-off to contact Silverwood Books. I never wanted to self publish and hated the idea of getting tangled up with all that computer jargon to get myself on Amazon. Yes, they say it’s relatively easy, but I wanted more than that, I still needed an editor. I’d read the book too many times to see my own mistakes. Due to legal restrictions in my first contract I was not allowed to used the edits from the previous publisher. Okay, whose words are they in the book anyway? However, if the words in the book were identical edits to those done by them, then I would be in breach of contract. So, rather than be beaten by the powers that be, I took it on myself to re-edit the whole book and get some help to check it out. The result – an amazing improvement with a slightly new twist in the tale. After my first contact with Silverwood Books, I noticed the difference in attitudes and the helpful way in which the staff talked me through all their procedures. I have to say they were marvellous. It wasn’t like self publishing at all, it was more of what I should have had the first time around. It was wonderful working with a team again, I had been rescued! Yes, I had to pay for the work, but in this situation I had to keep my book up there and it had to be an improved version, so it has been worth it. So, take a romantic trip to the Isles of Scilly with Pippa, Sven, Rob, Joan, and Terry. Where did it all go wrong? After weeks of working with the team, I arrived at my final draft and all the loose ends were in place. 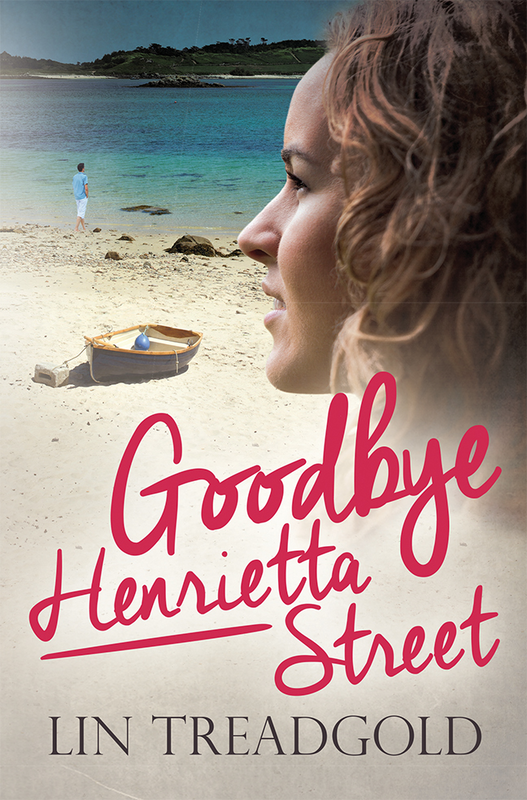 I was delighted with the new cover and very soon I shall have a better photo for you but in the meantime I just wanted to let you all know that Goodbye Henrietta Street is being released again on 16 March 2015. I will keep you informed about the links to Amazon, but in the meantime I do hope you will support me by sharing my posts and retweeting on Twitter. Thanks to everyone who supported me, you have all been amazing. I got two book shop orders already! Thanks Linda, it’s been a tough ride, but my advice to anyone in my situation is get help and move on. My book is much more striking than before and to get two shop book orders before it’s been released is very heartwarming, Thanks everyone. I hope it all goes well for you this time round, Lin. It’s good to hear you sounding so confident. Thanks Jane it’s onward and upward now. hello Lin, and good luck. Hope you continue to have success. Love the new cover.